We will honor several of our Veterans on November 11, and when this time of year comes around, I always think of my Dads. I had two I called Dad, and that didn’t seem at all unusual while I was growing up. (There are no current statistics on the number of children who grow up in broken families, the most recent I could find was a U.S. Census from 2011, at which time there were over 20 million children living in divorced families). It seems that I reflect more on their military service since they have passed on, and yet I know nothing about the time they served. That is to say, they were both unwilling and/or unable to share anything about their service. My first Dad retired from the Air Force after 20 years. Forty years into retirement, and he still could not share his location, and always kept phone numbers unlisted. I understood that his work was of a classified nature, and his job was to protect all of us, even after retirement. His job as a military man, therefore, never ended. My second Dad was in the Korean war, and his next sixty years were spent with nightmares and sweats, or short cat-naps rather than a good night’s sleep. During his last weeks, while in hospice, he was fully in charge of his faculties at age 82 (and brighter than most of us youngsters) until he needed the necessary drugs to ease his painful condition. He was certain, then, that the hospital was under siege, and all the medical staff was under “their” control. All, that is, except his oncologist, who he could trust. He and I agreed to keep our thoughts between us, except when she was by his side, when we could speak freely. That was the only time I heard him use the terms “over there”, where it was so bad. I never knew exactly where that was, as he just couldn’t talk about it. How devastating that must have been for a young teen-age boy. At least he came home. Now, getting to my point. Both of my Dads excelled in civilian life. Little did any of us know at the time, but they both suffered from PTSD. We hear a lot about the disorder today, but it was taboo to discuss back then. I am baffled now, and wish I had understood then, the magnitude of their suffering. Let’s just say the “what does not kill us makes us stronger” phrase is actually true, sometimes, if we are lucky. I don’t consider my Dads lucky. I think they were just made of steel. I am grateful that we acknowledge the condition and circumstances more readily now, for our Vets deserve to be just men, and husbands, and fathers, not forever active duty soldiers. Air Force Dad was an entrepreneur from day 1 of his retirement. He was remarkably independent, a loner, really. I know now that his military training zipped him up tight and that team playing wasn’t an attribute, but certainly a liability in his line of work. So, he carried that structure into the rest of his life and retired the second time with 2 successful businesses that supported he and his wife in comfort. Navy Dad was, literally, a man of steel. He was a Foreman, over 500 men and women in the steel mill that ran our town. His leadership was awarded many times and was recognized within the social media of his time as the all-around example of who to be, good guy, family man, and role model. How could we be so insensitive? Now, in my position here at ACUMEN Corporation, I have a platform from which to thank our Military men and women who exemplify the mentors we want our children to adopt. 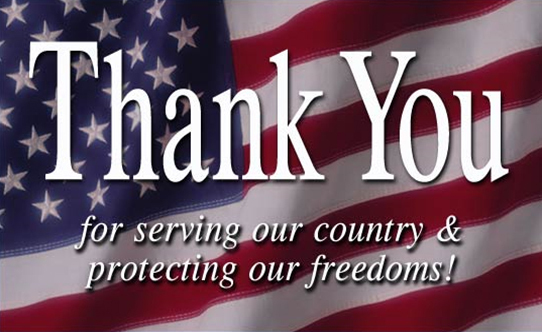 While we know many of the folks we’ve worked with have served and continue serving, we thank them all and regret that we couldn’t talk to each one. We are honored to have known the few who protect the many. Nothing can replace their sacrifice, and no words can repay our debt. We enjoy this free enterprise because of them and continue to expand our horizons through them. They are your Brother, your Dad, your Uncle, your Sister and your Friend. They are the nation that makes us one. Thank you, Lieutenant Colonel Jeff Will, U.S. Army (retired). If you’re lucky, he may have been your project manager on one of our SAP Business One ERP implementations. Jeff is a flat out inventory management expert. We’ve talked about him in glowing terms in the November 11 Veteran’s Day edition of the Richmond Times, so please catch his photo there. LTC Will served our country for 28 years. Most recently, he managed over 400 personnel in 4 logistics shops’ major battle damage repair in Kuwait for Anti-Mine Detection Vehicles, and major blast repair contracts with hundreds of millions of $$ of equipment responsibility. “My father was my greatest inspiration and helped me keep heart in everything I do”, says Jeff. We also honor Jeff‘s Dad, the late Earl J. Will, who served in the Korean war. Jeff helps us keep heart in all that we do here at ACUMEN Corporation. We couldn’t be more grateful for his service, and his ethics. Major General Mike Skinner (ret), like many of our military, could write books about his Air Force commitments, which started in 1976. He didn’t mention his weekly visits to the Pentagon, and only briefly relayed that he’d worked in cyber security. Mike speaks most fondly of his flying years with the FB-111 and T38, the latter of which is a supersonic trainer. Look those up on the internet, and you’ll be further impressed! The Major General says he felt one of the greatest sacrifices was the massive amount of time he spent away from his family.While at ages 17-18 he heard the calling as his patriotic duty, today Mike looks at that hard-core service as a young man’s game. We owe a great debt to Mike for his 37 years in serving our nation. ACUMEN has had the pleasure of working with The EURPAC Companies, since 2001, while focusing on their accounting solutions across the U.S. There, Major General Skinner is the Executive Vice President & Chief Information Officer of the parent corporation, EURPAC Service, Inc. Thank you for your service, Mike. Sergeant Joe Gough, Marines (ret) graduated on June 12, 1980, and by June 24 was in boot camp. “Joining the Marines was the best professional move I ever made. I needed the discipline…and that set me on the right path for the rest of my life”, says Joe. When Joe was a youngster, his doctor told his adoptive parents that their child would never do anything athletic. Joe set out to be the better man. Not exactly the “wimpy kid”, as life doesn’t get more athletic than in the Marines. Joe accepted a medical discharge in 1990 to care for his aging adoptive parents. ACUMEN has worked with Joe in his role as Director of IT at Kinyo Virginia, Inc., customizing the SAP, Business One ERP suite, since 2014. Thank you for perseverance, Joe, and for protecting our homeland. We also thank his late father, Joseph S. Gough, for his Army service. Major Dave Garner set out in 1987 to demonstrate his love of country and develop maturity such as is found in the Marines. He jokes that when he went to the recruiting center, the Marine recruiter had stepped out, and a Navy officer found him. In basic training he turned 18. He served as a Navy cryptologist and toured the world aboard ships such as the USS Washington. In 2000, Dave joined the National Guard, now in the 29th infantry, who respond to Virginia’s Governor calls to aid in instances such as civil disruptions, and natural disasters such as hurricane recovery. ACUMEN worked with Infilco Degremont for the past decade, where we first met Dave. Thank you, Major, for continuing to protect and defend us. We’d like to thank Dave’s Uncle Wayne Rudolph, for his Viet Nam service, his Uncle Charles Rudolph, and his Grandfather, William Thomas Rudolph for his World War II service. Next Customizing your ERP causing you pain?